Experience the ultimate lifestyle at The Chandler. Enjoy stunning NW views of the River and Navy Pier from this beautiful residence in prestigious Lakeshore East. This 1 bedroom has a bonus "den"/"office" with a spacious floor plan and an extra 1/2 bath. 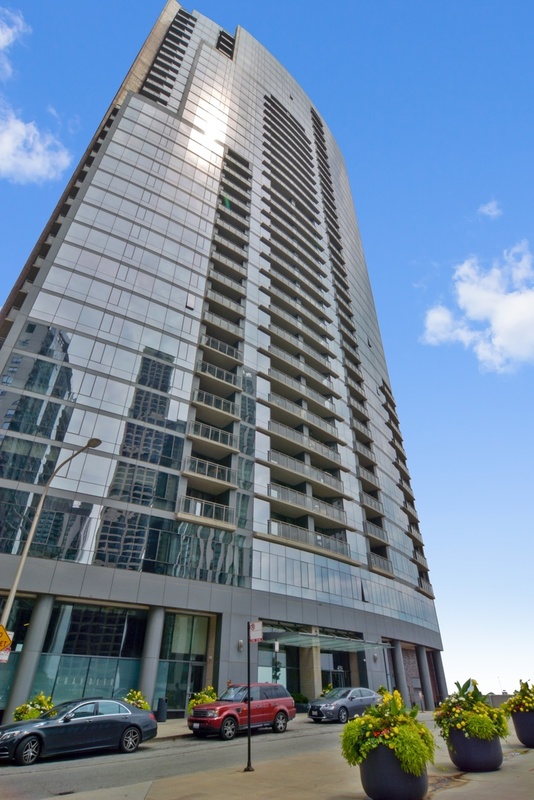 Features include floor to ceiling windows, a gorgeous balcony, hardwood floors, a gourmet kitchen, open floor plan, SS appliances and washer/dryer in unit. Building features 24 hour professional door staff, on site management company, indoor roof top pool, sundeck, hot tub, exercise room, media/theater room and a business center. Deeded heated garage parking $45K, space P-520. You will not want to miss out on this premier condo with the best floor plan in the building.This condo located on the 3rd floor is much higher than actual 3rd floor units. Best park and dog park in the city. Walk to Mariano's, restaurants, theater, Michigan Avenue, Maggie Daley & Millennium Park, and much more in this perfect urban retreat! Directions north/south on Michigan to Randolph, east to Harbor, north to Waterside, east to property. Property information last modified by seller on Monday, February 11, 2019, 02:13 PM CST. Information Deemed Reliable But Not Guaranteed. Unauthorized duplication, use, or linkage is prohibited. The information on this web site is for personal, non-commercial use and may not be used for any purpose other than to identify prospective properties consumers may be interested in purchasing. Monthly Payment Calculator results are for illustrative purposes only, not a financing opportunity; calculations assume a 30-year fixed-rate mortgage and do not include closing and other costs. Property Tax on NEW properties is estimated at 1.5% of Listing Price for payment calculation purposes; actual value may be higher or lower.